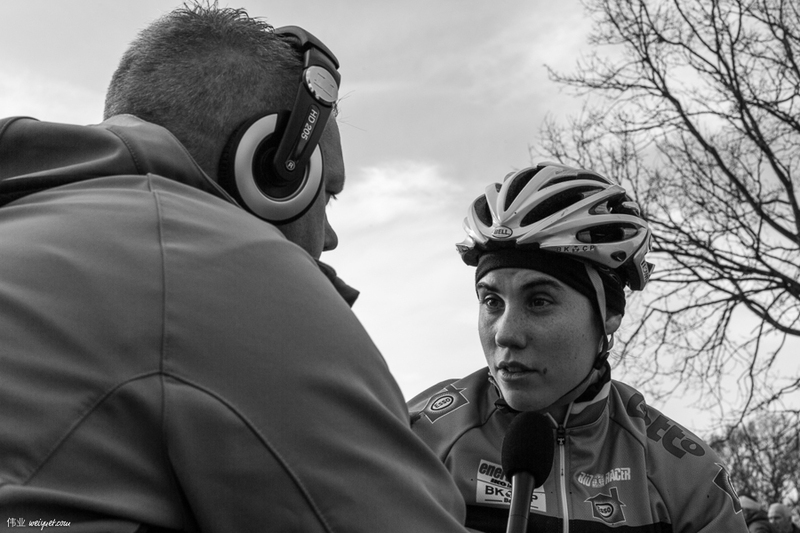 Sanne Cant (BEL) being interviewed by Belgian TV after Friday's practice at the 2014 CX World Championships. Cyclocross season is in the winter. Short days, long shadows, frosty mornings. Cyclocross is Belgium, and Belgium is Cyclocross. After a few laps, the bike weighs a few kilos more because of the mud. The crew hard at work throughout the cx weekend. I was shocked, but shouldn't really be surprised by the amount of washing that goes on in cyclocross. Cyclocross is a tactical race of decisions. When to ride. When to run. To push, or to shoulder the bike. A typical cyclocross course goes through a few different terrains: meadows, forests, sand, tarmac, mud, with some obstacles thrown in sometimes. Each lap is about 2.5 - 3.2 km. Despite the copious amounts of beer and frites, cyclocross is very spectator friendly. 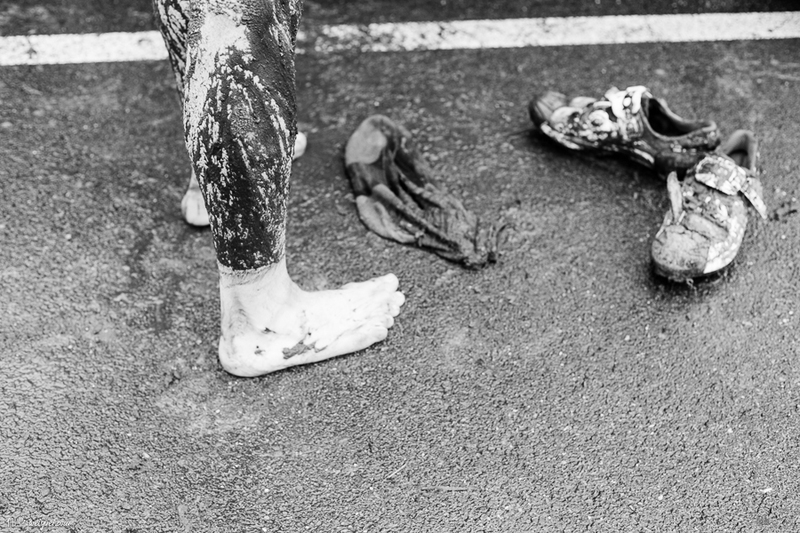 One rule of cyclocross: Commit to the rut. Many different techniques to get around the same corner. Lucie Chainel-Lefèvre (FRA) chooses to dismount and run. Drivetrains, gears and brakes get jammed. 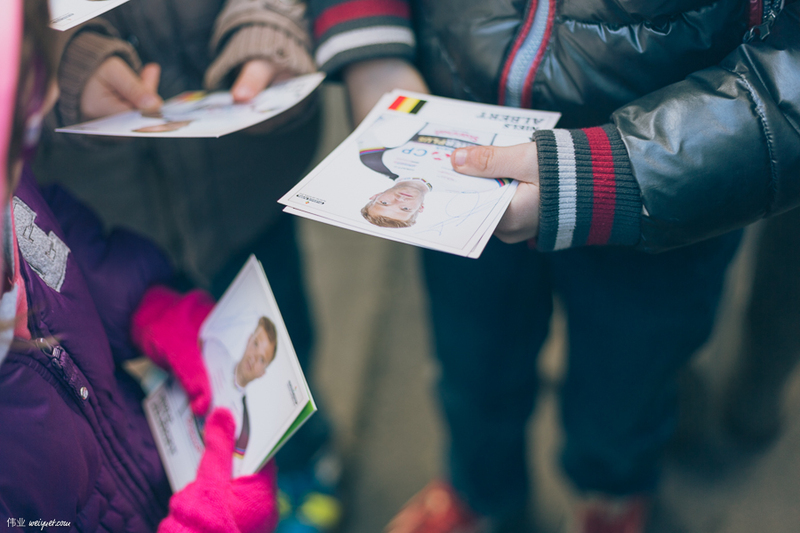 Had my fair share of being heckled by Belgian fans… Sometimes, it just annoying. Was told that Tom Meeusen (BEL) has one of the most distinctive game-faces in cyclocross. There's no doubt - Cyclocross is brutal. The fans are so important to the atmosphere. In the press box, one can just see Kevin Pauwels (BEL) being interviewed. His fan club is waiting for him. Laars van der Haar (NED) making some fans happy. The riders are quite friendly, and approachable. 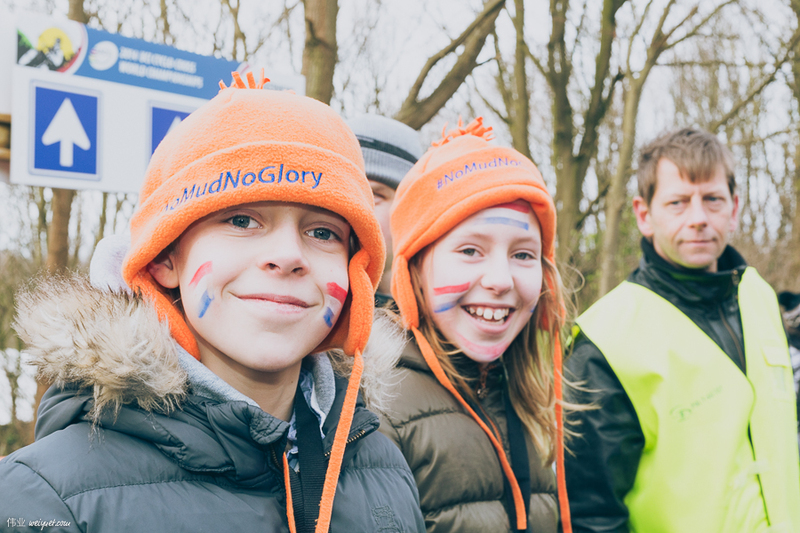 The mood at local Belgian cyclocross is also much less intense than at the world championships. I wanted to get one for myself. By the time I was satisfied with making my photos, they had run out. Marianne Vos (NED) showing off her latest set of Rainbow Stripes at the BPost Bank Trofee in Lille, Krawatencross. Rubber gum boots are a must for Belgian cyclocross. When photographing, I must remember to get out of the way too. The dismount and mount is almost like an artform. The 2013/2014 season was not a good one for Niels Albert (BEL). One rider that I really got to know - Ellen van Loy (BEL). Thanks for saying hi, and always giving me a word or two about how you feel about the course. Amazing woman, who has a full time job being an educator, outside CX racing.